The Kopul Studio Elite 4000 Series XLR M to XLR F Microphone Cable (6') is a studio-quality cable for connecting mics to mixers, preamps, audio interfaces and recorders; or to be used in any other application where XLR connectivity is required. 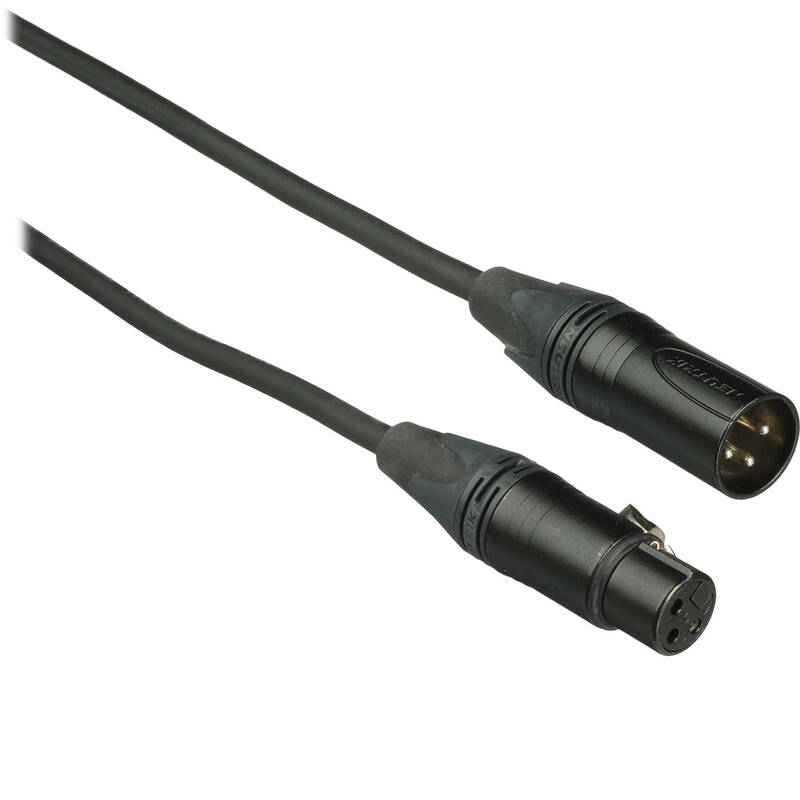 The cable is engineered to be both quiet and durable, and is well-suited for critical recording and broadcast situations. Box Dimensions (LxWxH) 8.8 x 5.9 x 1.1"
Studio Elite 4000 Series XLR M to XLR F Microphone Cable - 6' (1.8 m), Black is rated 4.6 out of 5 by 50. Rated 5 out of 5 by Sawrab from Actually quite good I originally got this cable because I couldn't find alternatives by different cable companies at this particular length (my preferred is Canare), on short notice. I figured at 6ft, it was more about convenience than quality, but I've been pleasantly surprised. The cable feels great, kind of like Canare, and I seem to be getting less RF interference on these cables than on some other cables, such as Pearstone and off-brand cables. Very nice. Rated 5 out of 5 by Jim from Good cable It works. It's 6'. Rated 5 out of 5 by James from Great Cable - Well Constructed Recording for many different types of projects. Well constructed - looks like it will hold out for a long time. I have used a lot of mic cables in my life time - and tend to ware them out quickly. Had a good set of Monster cables a few years back - I think that was the brand name on them. Well - I wore those out in a hurry. Will need some longer cables for a mobile project coming up. SO I will purchase some more of this product very soon. Rated 5 out of 5 by Dave from Great choice and value All my stereo components have balanced XLR connectors so I decided to connect everything with balanced connectors instead of RCA. I am quite pleased with the result. CDs, SACDs and LPs sound so clear and natural. I chose Kopul because they seemed to be well constructed and were relatively inexpensive compared to my old RCA cables. I have ordered several more of these cables just in case I damage one. Rated 5 out of 5 by phrase from big things come in small packages I've been using this product for just a little time but i have to say I really love it , first of all I didnt expected much of it but after i began to use it i had that feeling that this product is all i needed , theres just everything in this product , sincerely i dont think there is anything wrong and i also want to thank you all for the greatness of it. Rated 4 out of 5 by Nicholas M. from GReat for the $$$ THis little XLR extension is great in a pinch. With being just 6 feet it is on the smaller side, but it works great when connecting up a shoter lav mic cord to my recorder. That extra 6 feet of cable could make you a break you. I love the lock pin on the female side, some others don't have that and it definitely helps. Rated 4 out of 5 by Henry the Runner from Great first mic cable! I have never owned an XLR cable before but the product came to me and looked like it was manufactured with excellent quality. I tested the mic with my sampler and recorded some audio and ran it through my powered 600 watt speaker. The vocals sounded crisp and distortion free. Thank you. Rated 1 out of 5 by KD from Not Happy! I received two of these cables as a package deal with my KRK Monitors (one of which had to be exchanged because it was DOA) and I recently decided to use my Kopul cables however one of them seems to crackle and distort? Even my $3.00 XLR's perform better! Sorry B&H, loosing my faith! If I purchase this, for usage with my H4n, will I still need to buy an attenuator? Did your speaker come with a powercord? Does this device improve the input sound coming from a mixer into the H4n via XLR cables? To run a line level signal from a mixer into a Zoom H4N you want to use a 1/4 inch input into the Zoom's combo jack. 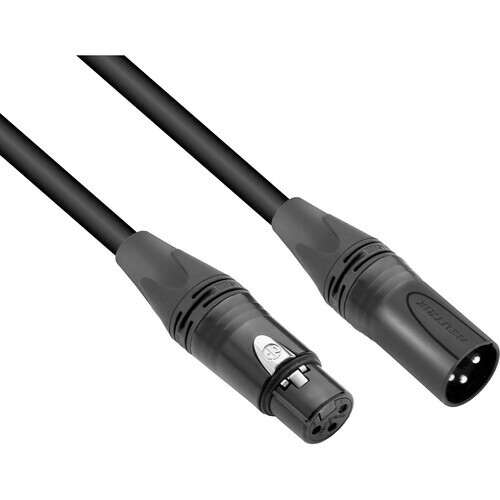 Buy an XLR to 1/4 TRS cable. Does it come with a powercord? No. The power for the mics comes from the camera on phantom power or the mic if it is wired up or a wireless/battery mic.